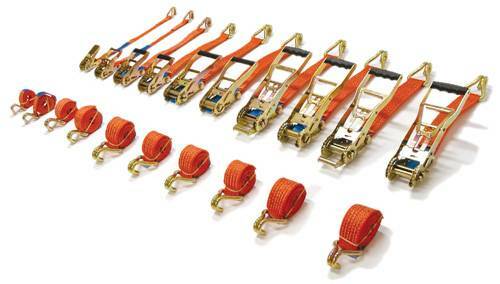 In 2001 a harmonised standard for lashings was introduced, the EN 12195-1 and EN-12195-2 has enforced a change to all Cargo-restraints on trains, trucks and vessels. Technotex therefore offer a comprehensive range of quality lashing for every purpose with variety on the Lc (=Lashing capacities) and even more important the Stf (=Standard tension force). Lashings systems must comply with the EN-12195-2 because users must be aware that the lashings will meet the required performance. 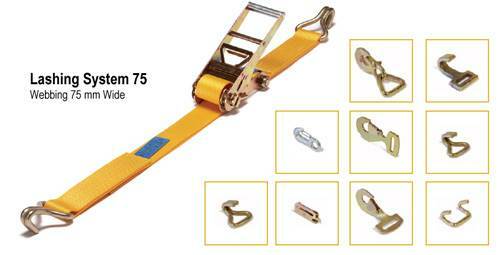 Technotex also offers a wide range of Lashing Products.